The focus of this study guide is on Fatigue Analysis. As with our other eBooks we have deliberately kept the theoretical aspects as short as possible. The tool of choice used in this book is OptiStruct. 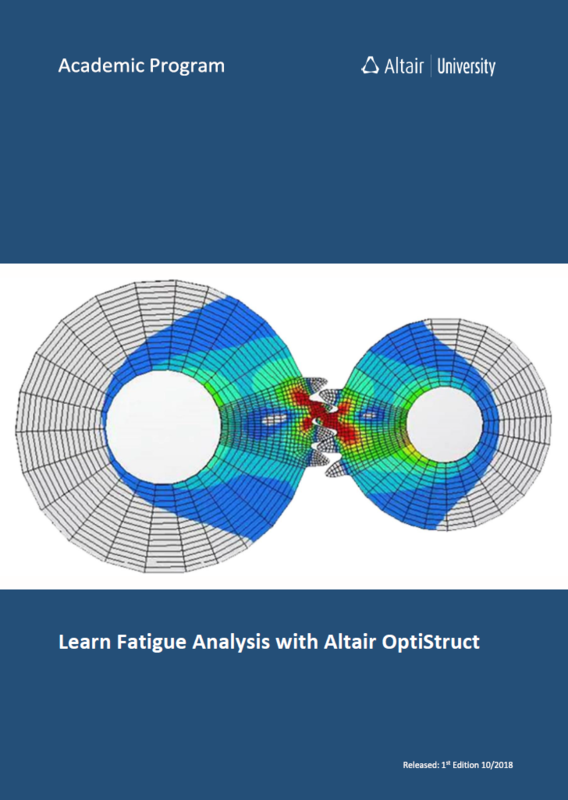 Altair ® OptiStruct® is an industry proven, modern structural analysis solver for linear and nonlinear structural problems under static and dynamic loadings. OptiStruct is used by thousands of companies worldwide to analyze and optimize structures for their strength, durability, and NVH (noise, vibration and harshness) characteristics. Click here to download model files used in this eBook. Any feedback helping to improve the quality of this book would be very much appreciated.